Since poetry is a form of expression, I have to respect the idea that someone would not only take time to create an English version of Ghazels but do so in a way to include prayer which is a part of all faiths. Including the Five Daily Prayers in a book of poetry that really speaks to the modesty of women while also being used to express love, worry and pain is something is creative and brilliant. 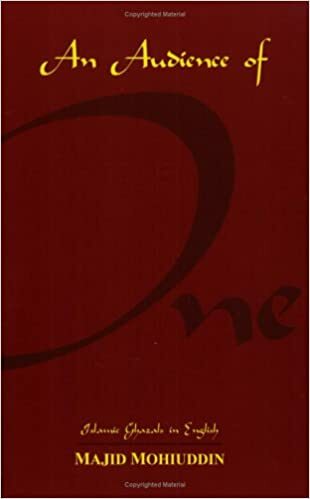 The idea that Audience Of One can be used as a teachable tool to at least highlight the importance of understanding a very essential part of Muslims daily practices makes me appreciate the Authors effort in translation. Get your copy here.